Reverse Mortgages.com Reviews - Is it a Scam or Legit? 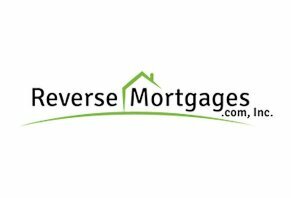 Reverse Mortgages.com is an online lender who offers homeowners reverse mortgages to help pay for expenses during retirement years. Reverse Mortgages.com is an online lender who offers one specific type of loan: the reverse mortgage. What sets them apart from other lenders is their website; it contains clear information as well as licensing numbers for their entire team of loan officers. The company’s mission is to provide financial security for those who are 62 years and older with a “strong moral code” and “quality service” that’s strengthened by a family atmosphere. The business was founded in 2014 and is located in Columbia, Mo. Reverse Mortgages.com’s president is John Schulte, a 15-year veteran of the financial industry. There are dozens, if not hundreds, of reverse mortgage lenders on the internet these days and it takes some research and hard work to figure out which ones could work for you. In our review of Reverse Mortgages.com, we’re going to do a quick summary of what reverse mortgages are, what Reverse Mortgages.com offers, the application process, what fees you can expect, what other people are saying about their experiences with their company and what the general advice is about reverse mortgages. Unlike traditional mortgages where you pay the lender based on the amount you borrowed, reverse mortgages are a way for the lender, in this case, Reverse Mortgages.com, to pay you based on the value of your home minus what you owe on it. The qualifications for reverse mortgages are very different than normal mortgages, but we’ll get to that in a few minutes. For now, know that people use reverse mortgages as a way to get extra cash during their retirement years. Reverse Mortgages.com sells what are known as home equity conversion mortgages (HECM). The name makes sense, right? You’re converting the equity in your home into real money. HECMs are technically not the same as all reverse mortgages, mainly because HECM specifically refers to a government program run by the Federal Housing Administration and started by former President Ronald Reagan. State and local organizations, as well as private firms, can offer their own style of reverse mortgages that aren’t HECMs. For the purposes of this review, though, unless we say otherwise, reverse mortgage and HECM will be interchangeable. We also want to note that Reverse Mortgages.com’s products are insured by the Department of Housing of Urban Development (HUD). If for some reason, Reverse Mortgages.com can’t pay you the money they promised, HUD will step in and make sure you get your money. HUD insurance also means you or your relatives aren’t on the hook if the total of your reverse mortgage and interest ends up being more than the value of your home. Within this class of HECM reverse mortgages, there are some nuances. For example, you’ll be charged interest on your mortgage and that interest can either be fixed-rate (same interest rate) or variable-rate (interest rate fluctuates with the economy). Second, the way in which they pay you your reverse mortgage changes. Using the previous example of you and your friends, let’s say that the guy who is going to pay you 60% of your equity says you’ve got choices on how you get your money. He can keep it in his checking account and you can withdraw what you need whenever you want. Or, he’ll just give you the entire amount minus some fees for the trouble. A third option is that he can give you a set amount of cash on a monthly basis. The final choice is a mix of all three. Which one you choose depends on the situation you’re in. Maybe you need the money to pay for some medical bills, so you go for the lump sum. Or, maybe you just want some steady income each month so you go for the regular payments. HECM’s aren’t just available to anyone because they were created to meet the needs of older Americans (62+) who were looking for ways to create financial stability as they entered their retirement years. Reverse mortgages gave them a chance to withdraw equity on their home to have a steady source of income on top of social security and any retirement plan they were getting from an employer. Therefore, one of the rules of reverse mortgages is that they’re only available to people 62 and old, and who’ve paid off all or most of their original mortgage. Also, they can’t have any delinquent debts with the government (back taxes are a good example) and they have to attend a reverse mortgage training course with an HUD-certified HECM counselor. Reverse Mortgage.com’s website also points out that you have to be able to pay for your homeowner’s insurance and property taxes. They’ll also want to make sure you’re up to date on all of your home maintenance. Pro tip: Condos are also eligible for reverse mortgages, but they have to meet the HUD’s standards. Getting a reverse mortgage with Reverse Mortgages.com requires several steps. In order to start the reverse mortgage process, you need to schedule a meeting with a HUD-certified HECM counselor. These sessions typically take more than an hour. The counselor will walk you through the ins and outs of reverse mortgages to make sure you understand what you’re getting into. If you want to find out where the nearest HUD counselor is, check out their counselor database. After you finish your counseling, you can begin the online application process at Reverse Mortgages.com. Part of the application is a pretty thorough review of your financial situation to make sure you’ll be able to pay insurance and property taxes. Pro tip: You can get a free quote before committing to an application. If you can pass this preliminary “inspection”, Reverse Mortgages.com will move your application to the next step, which is understanding the fees you’ll pay before and during the length of your reverse mortgage. We’ll talk about those fees in the next section. Once you’re clear on the fees, Reverse Mortgages.com will send your application to their underwriters, the people who verify your information is correct and determine the amount, interest rate and length of your reverse mortgage. The underwriting process, according to the company, takes up to five days. After underwriting, you’ll close on the loan, which means everything will be finalized and you’ll get your money. Remember, though, the law allows you to back out of the contract during a three-day period called the “Right of Recession”. If you don’t back out, then the money will be disbursed according to the payment plan you’ve chosen. Your payments will come from a loan servicer, which is a third-party company who gives you updates on your loan balance and checks up to make sure you’re paying property taxes and homeowner’s insurance. Origination fee - Cost of processing the loan. Based on home value. FHA Mortgage insurance - Protects you and your heirs. 2.5% of your home value. Interest rate - Average in 2014 was 3.38%. Servicing fee - Loan servicer’s charge; around $30/mth. Other fees - These include appraisals, title insurance, etc. The fees we’ve seen on Reverse Mortgages.com’ website are similar to what we’ve seen from other reverse mortgage companies. However, that doesn’t mean they’ll be easy to understand. If you have questions about what certain fees are, ask your loan processor. You might notice that there are a lot of fees going on here. This is one of the reasons people say reverse mortgages are a bad idea, but we’ll get to that in a minute. For now, let’s examine what consumers are saying about their experiences with Reverse Mortgages.com. Pro tip: If you move out of your home, you have to pay back your loan. Reviews about Reverse Mortgages.com are sparse, which makes sense for a couple of reasons. First, only around 55,000 reverse mortgages were completed in 2015, which means there aren’t that many being sold. Second, the company started less than three years ago. That being said, the reviews that are out there are positive. The company has 53 reviews on Trust Pilot and more than 40 of those reviews are 5 stars. Many reviewers said they loved working with their loan processors because they were friendly and helpful. Aside from Trust Pilot, the only other site featuring any sort of review system for the company is the Better Business Bureau. Unfortunately, at the time of publishing, there were no reviews on Reverse Mortgages.com’s BBB page. There were, however, two complaints filed by consumers. One complaint said the customer was frustrated with how long it was taking to get a reverse mortgage and that they felt they were being misled and strung along. The second complaint focused on the appraiser Reverse Mortgages.com hired. The consumer said their real estate agent appraised their home at $225,000, but the appraiser Reverse Mortgages.com hired appraised the house at $115,000. The problem with a low appraisal is that it affects the amount of the reverse mortgage. The lower the appraisal, the less you can borrow. Low appraisals aren’t the only problems that could arise with a reverse mortgage, though. Consumer reviews about reverse mortgage lenders may be sparse, but the expert reviews on these loans are many. And, as it turns out, most of those reviews are negative. In a Sept. 2015 article for Forbes, contributor Carolyn Rosenblatt reviewed some of the most common complaints of homeowners with reverse mortgages. Rosenblatt went on to cite a 2012 Consumer Financial Protection Bureau report about reverse mortgages. One section of the report titled, “New Risks to Consumers”, points out that today’s reverse mortgages are being used to pay off remaining mortgage debts, something that these loans weren’t intended to do. “The original purpose envisioned for reverse mortgages was to enable older borrowers to convert home equity into cash they could use to help meet expenses in retirement,” the report reads. In other words, they’re using a home loan (debt) to pay off a home loan (debt). The report says this method could work for someone who has retirement resources built up and who will stay in the same home for a long time. However, if you have to move at some point, there’s a good chance all those fees and interest rates have eaten up the rest of the equity in your home. So, when you sell the home, there’s a good chance you’ll break even after you pay off your reverse mortgage. If you don’t have any money saved, you’re broke. All these warnings may make you wonder why people get reverse mortgages in the first place. It’s a question Angie Mohr pondered in her reverse-mortgage article for Investopedia. Reverse mortgages are not something you should take lightly. They have long-term implications that will affect different borrowers in different ways. Before you decide on any reverse mortgage lender, do your homework on the ins and outs of HECM rules and regulations. Based on the experts we read, we are of the opinion that HECMs are best-suited for borrowers who have a decent amount of cash saved up. If for any reason, you have to move out of your home and your loan kicks in, you’ll have reserves stored up to get you through. As for Reverse Mortgages.com, we think what they offer is very similar to other lenders like All Reverse Mortgages and American Advisors Group. The big difference, in our opinion, is that Reverse Mortgages.com website is much more customer friendly. They’re transparent about the fees you’ll incur, and they have a really great section about pros and cons, as well as a solid “Facts” page. Both of these sections of their website can help you get a better understanding of reverse mortgages. However, just because the company’s website is informative and helpful doesn’t mean Reverse Mortgages.com will offer you the best rates. To understand that, you’ll have to get pre-approvals from several companies. Doing so is a well-known consumer tool for getting all the information you need to make a decision about the right service provider. If we could sum up our advice into one sentence, it would be this: Study before you sign. One of the best ways to get acquainted with reverse mortgages is to head to the Consumer Financial Protection Bureau’s mortgages section. They’ve got a great page of questions submitted by consumers about reverse mortgages, as well as a helpful guide for reverse mortgage beginners. Write a Review for Reverse Mortgages.com!